Listen to young climate activists share their stories, struggles and successes! 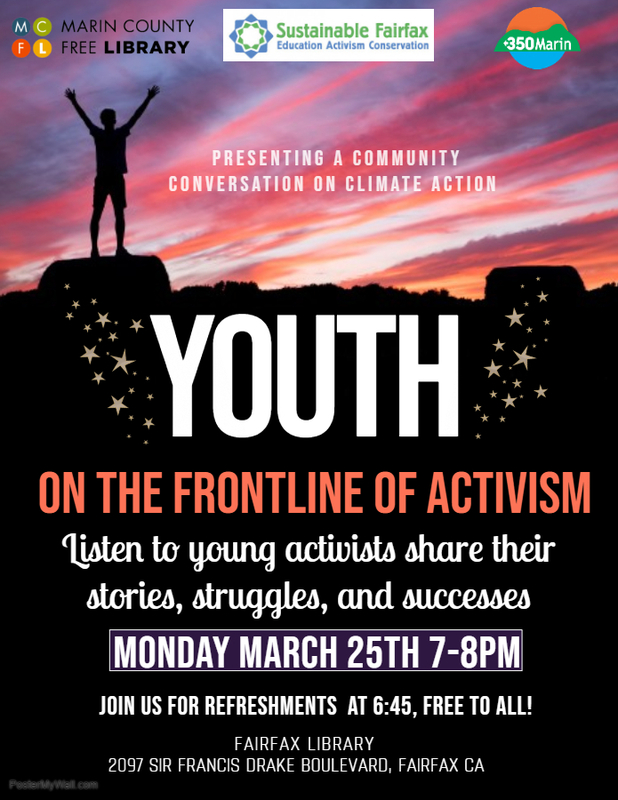 Come hear the stories, struggles and successes of youth on the frontlines of activism to fight for their own future. This is a free event. If you can, join us at 6:45pm for refreshments before the 7 – 8pm discussion. Join us for refreshments at 6:45pm. Facilitated by 350Marin.org and Sustainable Fairfax.